Planning religious educational programs for your home, church or school? 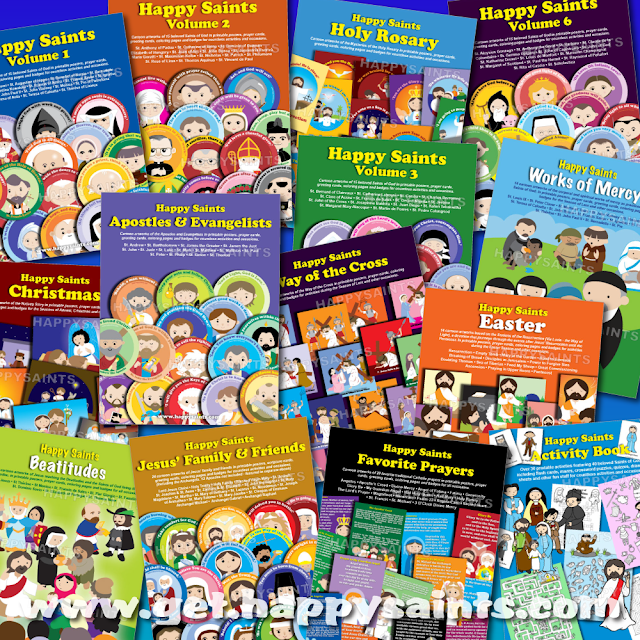 Happy Saints eBooks make great Catholic resources for children and families throughout the year! Featuring cartoon artworks of beloved Saints of God and Bible Scenes in printable posters, prayer cards, greeting cards, coloring pages and badges for countless activities and occasions.